Given how small the region, I was surprised to learn that there are nearly 5,000 different champagne producers! Whilst I am of the notion “if it ain’t broke don’t fix it”…this year I thought it might be fun to try a new fizz! 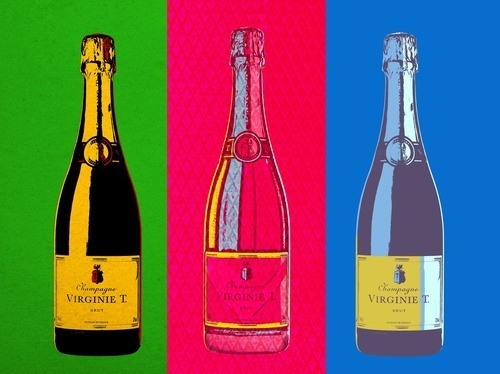 The one that caught my eye is Virginie T (the daughter of Claude Taittinger, who went solo in 2013). Even if it all falls down around my ears it will be a good conversation starter if nothing else! And at only £27 per bottle its not the biggest risk in the world! What is your NYE tipple of choice?